If ever there was a game series that was going to last forever, or at the very least die trying, the Mario games are precisely that. Mario’s appearance over the years has barely changed. Alright, he’s joined the realms of 3D since his first appearances in Donkey Kong, but he is still the recognisable game sprite even today. 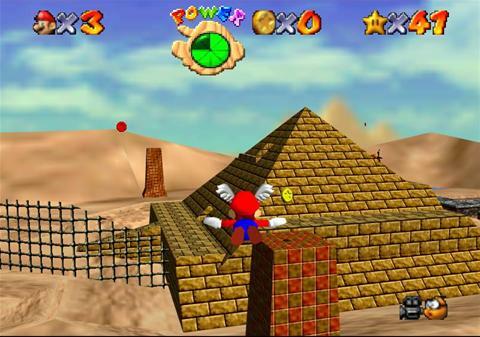 But his first foray into 3D was on Nintendo’s 64 bit console, and the game was received very warmly. 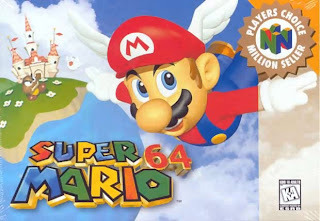 So warmly, in fact, it is still considered as one of the best games of all time by many gamers, and regularly tops the “reader’s charts” that appear periodically, even above Super Mario Kart, Super Mario Bros. 3 and Ocarina Of Time, although sometimes Ocarina Of Time does jump above it. Strange, they’re all Nintendo games. Well, it’s no secret that Nintendo consoles have been blessed by more than their fair share of classics. With the advent of Super Mario Galaxy, then, are we going to see another regular chart topper? Quite simply, you need to play this game. It’s one of those that grabs you by the scruff of the neck, drags you in kicking and screaming, and refuses to let go until you reach a particularly tricky level, and then lets you make a choice; do you give up, you sad, pathetic wuss? Or, do you keep having a crack until you finally complete the game? Well, in my case, I waited about 5 years before returning to it and finishing it off, but even then there’s plenty left to do. Let me explain a little better. 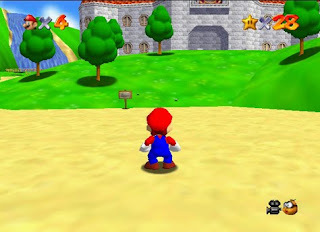 The object of the game is to find the Power Stars hidden around the castle. Most of these are in the individual levels, and obtaining them requires completion of a specific task, such as beating Koopa the Quick in a race to the top of the mountain, or beating the penguin in a downhill sliding race, or even just reaching a certain location. 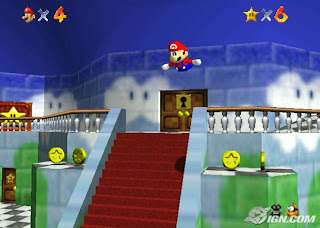 As you obtain more and more stars, doors in the castle unlock, opening ways to new levels. Each level has at least 8 stars to collect (There’s bonus stars available, such as collecting 100 coins or all 8 of the red coins on each level), and there’s also some hidden stars around the castle too. Once you’ve collected enough stars, you’ll get the chance to take on Bowser in the final battle, and release Princess Peach from her imprisonment. But even then, there’s more to see as you will need EVERY star in the game to open the cannon to shoot you to the castle roof. I never did manage this, but I’m not one of these people who needs to see EVERYTHING a game has to offer, so I’m not right fussed. Actually, always having that little bit extra to achieve adds to the game’s longevity, so as far as I’m concerned it’s all good. 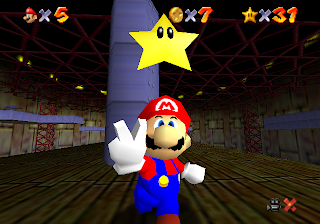 The important thing here is that Mario didn’t lose any of his charm as a character and indeed as a playable game through the transition to 3D, and thankfully Nintendo got it spot on. Amazingly the game feels as natural as the best 2D platformers, the analogue stick was simple and intuitive to control and the finer points of Mario’s acrobatics are explained by reading signs around the castle. And trust me, you’ll need them all as you try to collect all the stars available. 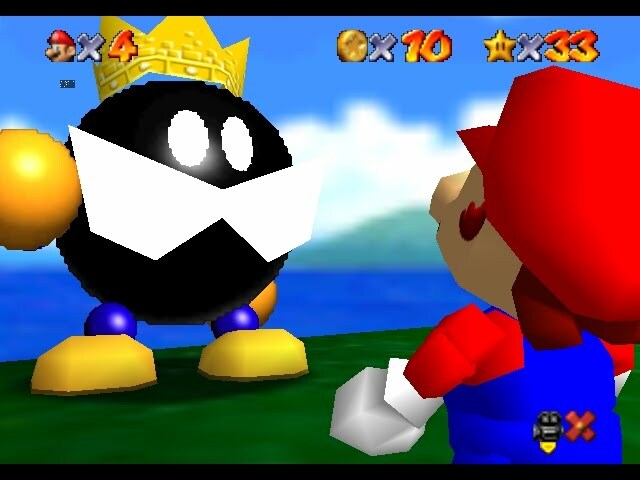 Mario’s finest moment, then, or at least it has been regarded so until the recent Super Mario Galaxy game. If ever you get a chance to play this on a real Nintendo 64, grab it with both hands.